"The chemistry sizzles from every page." -Night Owl Reviews, Top Pick! Easy on the eyes, tough on the heart and detrimental to the hormones. Marie Harte is an author after my own heart. There is nothing more toxic to the hormonal chemistry than a man with a puppy (except maybe a single dad). 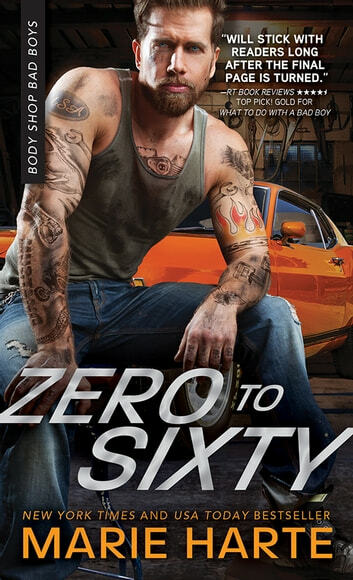 The fact that Sam was a bad boy raised the hot level tenfold. More bark than bite, Ms. Harte made it hard for me to decide who I loved more Sam and his wounded bear act or the matchmaking puppy with the hidden agenda. 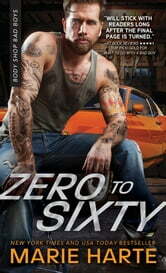 Zero to Sixty is a savory romance that blends humor, heart and heat to delivery a top of the charts performance. It's love at first sight.